Estate Planning is often thought to only be important for the wealthy, or the elderly. This could not be further from the truth. Every adult over the age of 18 should, at minimum, have three basic documents in place to ensure your financial and medical affairs are in order in case of certain events, such as a major medical procedure, and unforeseen accident, or international travel. These documents allow you to choose a person you prefer to assist you with your finances or medical decisions if you are unable. The Millennial generation (those born anytime from the 1980s to 2000s) now constitute a significant portion of the American workforce. They are getting married, buying houses, cohabitating, embarking on parenthood, and, of course, are famously fond of their pets. Why should Millennials care about putting a basic estate plan into place, especially those that may have more student loan debt than net assets? Even if one has more debt than assets, and is just beginning a career, it is essential to create valid legal documents to make sure the right person will have authority to help you in the event a need arises. Financial Power of Attorney for the Millennial: A comprehensive financial power of attorney is essential for any adult. There is a misconception that all power of attorney documents are the same. This is not true. An agent nominated under financial power of attorney only has the specific authority granted within that specific document. For Millennials, it is important that a financial power of attorney authorize your agent to manage your specific types of assets. Meaning what? Millennials are more likely than other generations to bank online, have digital assets, own cryptocurrencies, accumulate airline points, have online accounts, subscribe to activity memberships like ClassPass or gym memberships, own pets, cohabitate or share financial responsibilities with a non-spouse. A generic downloadable power of attorney does not address any of these assets, and would not grant this specific authority to your agent. It is crucial that a financial power of attorney be drafted to authorize an agent to manage your unique financial assets and obligations. Health Care Power of Attorney: Every adult needs a health care power of attorney and living will to name a person who will convey your health care decisions if you are unable to communicate them yourself. For an unmarried adult with no adult children, if there is no health care power of attorney in place, then a person’s parents will be authorized to make emergent medical decisions only. For an unmarried adult, if there is another person you would trust to convey your health care wishes, then it is critically important to name them as your agent under health care power of attorney. Last Will & Testament: In Arizona, a Last Will and Testament does more than merely direct where your property goes at your death. Under Arizona law, in your Will, you can nominate a future legal guardian for a minor child. Any new parents should execute a valid Last Will and Testament to officially nominate a preferred person as a future guardian (and a back-up) for their minor child(ren), in the case of a catastrophic event. This nomination is only valid if made in a valid Last Will & Testament that references the appropriate statute. Bonus: Pet Trusts: It seems like every week there is a new article about how much Millennials love their pets. If you love your pet enough to buy it a sweater, or create it its own separate Instagram account, you may interested in a making sure your pet is financially taken care of if something were to happen to you. In your Will, you can also designate a future caretaker for your beloved pet. Legally speaking, the state of Arizona sees your pet as property, but knowing your pet is actually a member of the family, you may even wish to allocate a part of your estate to make sure your pet has funds available for vet appointments, grooming, and doggie day care. While you cannot leave your pet money directly, you can hold money in trust for your pet. This trust can be established when you create your Last Will & Testament. 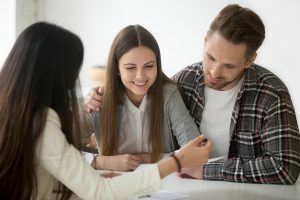 If you know a Millennial who needs basic estate planning documents put in place, please share this article or encourage them to schedule a brief phone call to share their wishes with an attorney today. – By Megan Selvey, Esq.